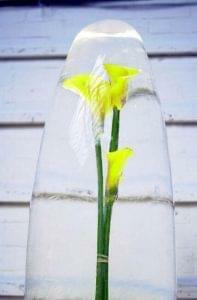 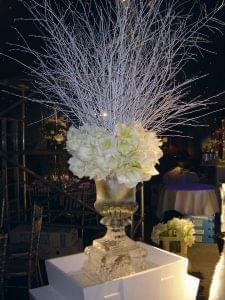 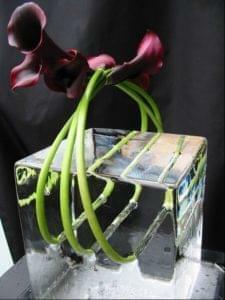 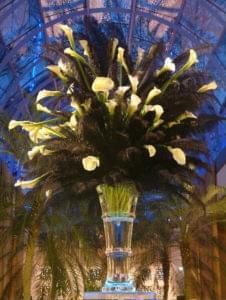 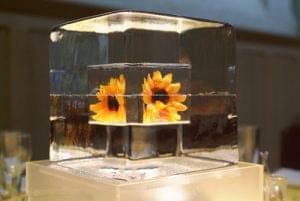 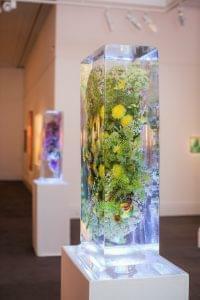 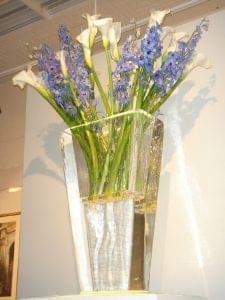 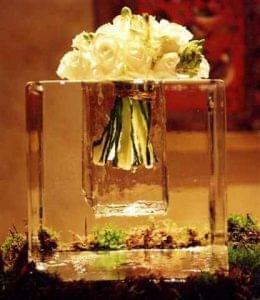 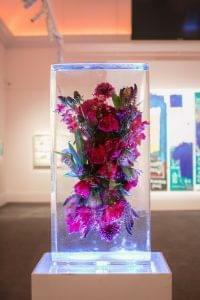 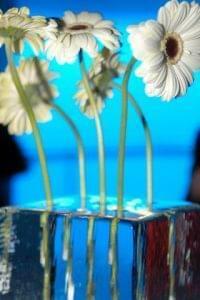 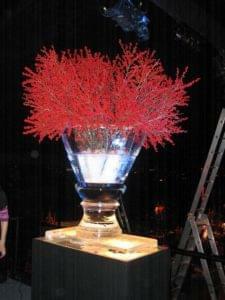 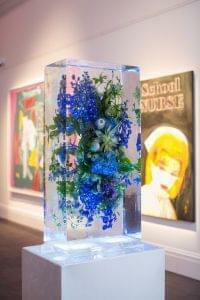 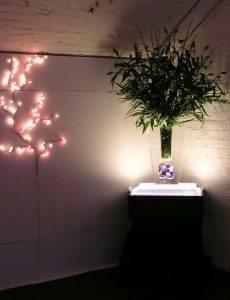 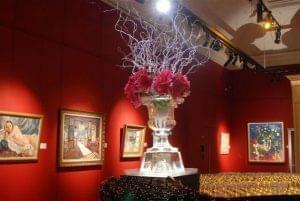 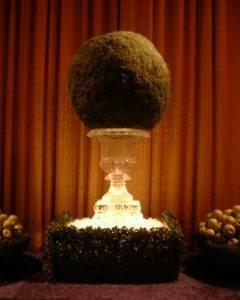 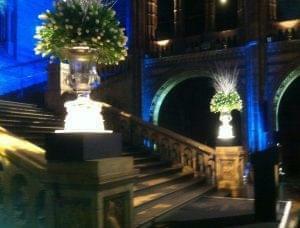 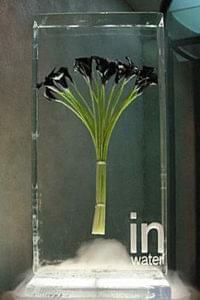 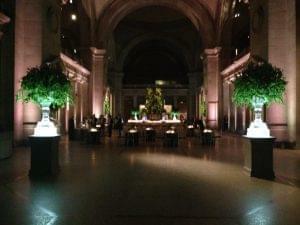 Use the art of ice to exhibit intricate flower arrangements. 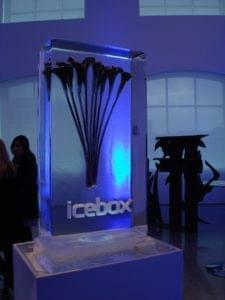 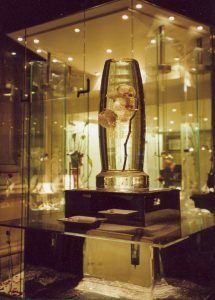 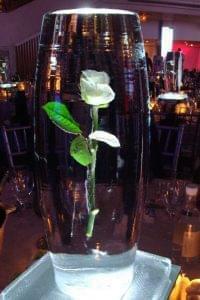 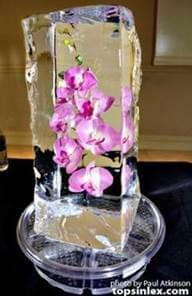 Whether it is freezing a single rose in a carved ice block or displaying stunning arrangements in intricately carved ice vases, Icebox will listen to your brief and create something fabulous for any occasion. 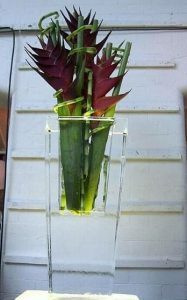 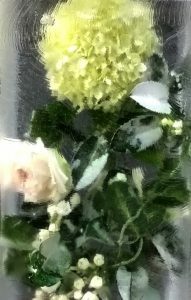 We regularly work with florists and are brilliantly positioned in New Covent Garden Flower market with access to the most wonderful and fresh flowers in London. 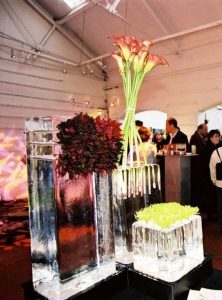 Using ice as your template will quickly grab attention and market your products in a way that is innovative, fresh and compelling! 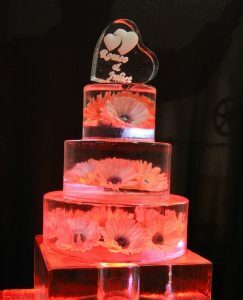 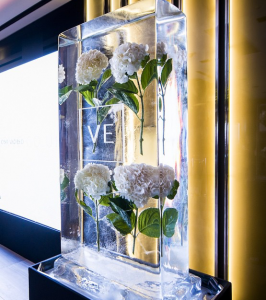 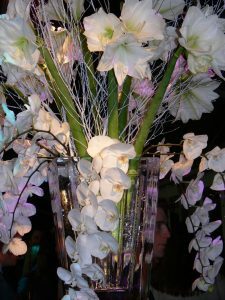 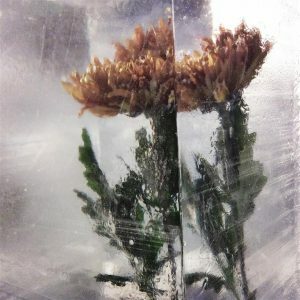 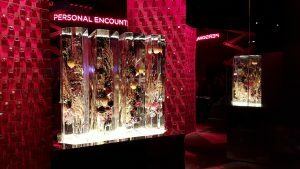 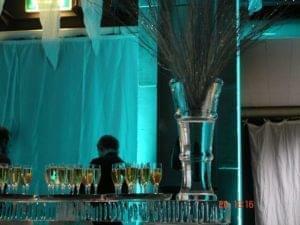 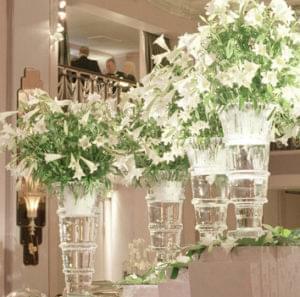 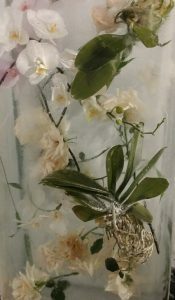 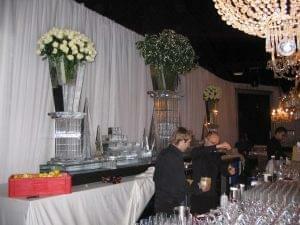 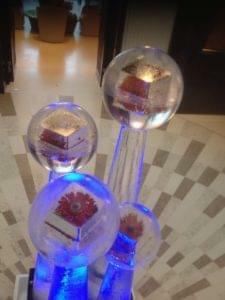 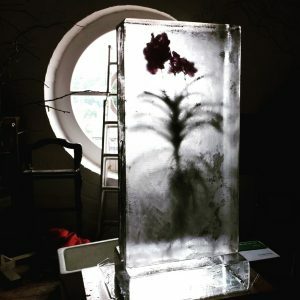 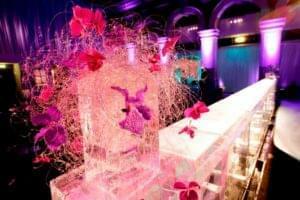 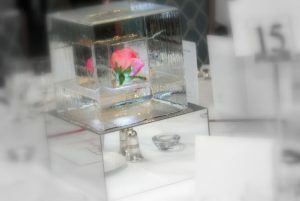 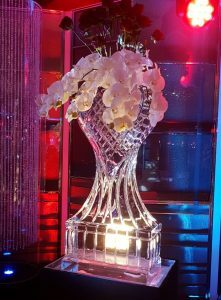 There is no limit to what we can achieve combining flowers and ice and we have designed hundreds of unique floral ice displays for private weddings and parties, corporate and promotional events and have library of images and ideas that we can share with you. 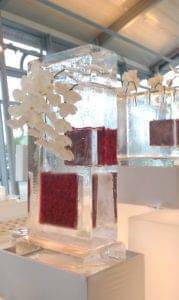 If you have something specific in mind or would like us to create a mood board of ideas, then please get in touch and we would be delighted to share our expert icy knowledge with you.